Ride through the heart of Kentucky’s horse country. Visit the Shaker Village of Pleasant Hill and explore Daniel Boone Forest. Cycle the gently rolling hills of bluegrass near historic Lexington. 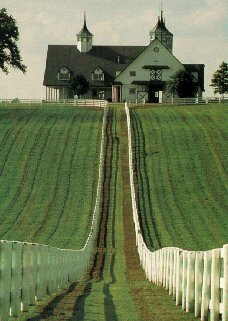 Travel picture of A Kentucky horse farm. where is this home located and what is its address?